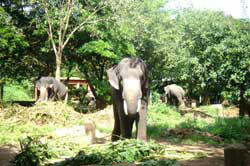 Explore the wild jungles and forests of India. India is blessed with some of the finest wildlife on the planet. Possible sightings during a visit to India’s National Parks/Sanctuaries include Bengal tiger, species of deer, leopard, langur, wild boar, sloth bear and in some locations, the Asian elephant and Buffalo. feel the thrill of photographing a wild lion on the prowl and experience an Indian jungle safari on an India Wildlife Tour. Let us stat from North India, where Corbett National parks offers Bengal tiger, Asian elephant, species of deer and myriad birdlife. Northeast the famous Kaziranga National Park, one of the largtest population of Indian one-horned rhino, in West Ranthambore lies on Rajasthan offers the to visit the spot Bengal Tiger, Fauna and Flora. 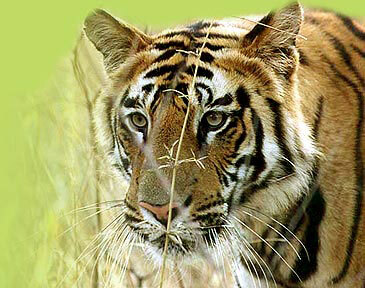 In Central India or Madhya Pradesh Kanha Pench and Bandhavgarh National parks there are variety of wildlife. In the South of India Periyar National Park falls in Thekkeady region of Kerala encompasses varied terrain replete with a lake from where aboard boats most wildlife spotting takes place. Arrive Delhi at International Airport, met and greet on arrival and transfer to the Hotel. Overnight. Enjoy full day sightseeing tour of Old and New Delhi., taking in the impressive Red Fort, Jama Masjid - India’s oldest and largest mosque, Raj Ghat - the site of Gandhi’s cremation and more. Drive past through India gate, president house, rajpath and Parliament, also do not miss to visit the sky touching Qutab Minar. Overnight. Transfer to the Airport to boar the flight for Nagpur, meeting on arrival and drive to Pench National Park. Morning and afternoon game drive in shared jeeps, Pench National Park, enjoy seeing Leopards, sambar, nilgai, chital also operate in the peripheral areas. Jungle cats, Indian and palm civets can also be spotted. Additionally, there are more than 170 species of birds including several migratory species. Overnight in the camp. This morning enjoy the game drives. In he Afternoon drive to Kanha National Park, on arrival check-in at Hotel. Overnight. Enjoy morning and afternoon Jungle safari by shared jeep. 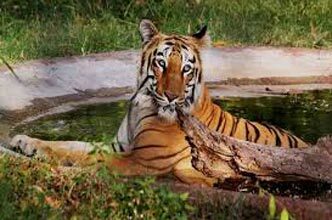 Kanha National park is located in central India, Kanha National Park is widely considered the greatest of India’s wildlife reserves, encompassing some 940sq kms of deciduous forest. 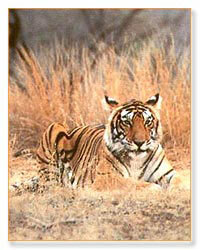 The park has been part of the Indira Gandhi’s Project Tiger, since the 1950’. Overnight in the camp. In the morning enjoy game view drive to the Kanha National Park, later drive to Jabalpur to board the flight for Delhi, meeting on arrival and transfer to the Hotel. Overnight. 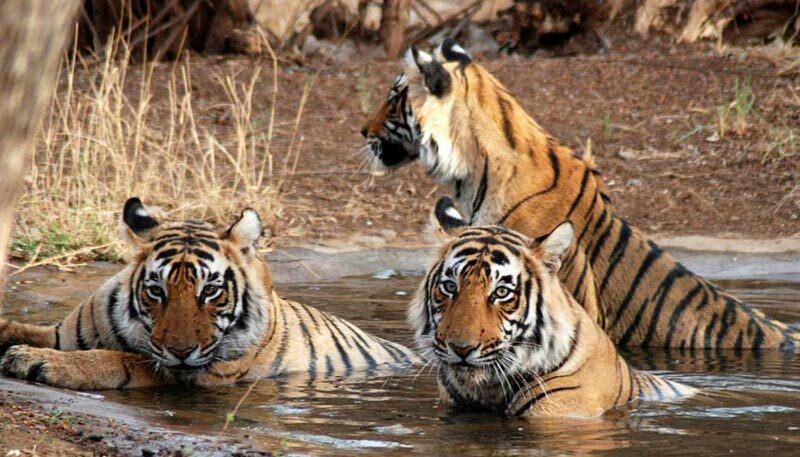 Tadoba Nagzira And Pench National Park Tou.. Destinations Covered : Bharatpur, Ranthambore, Agra, Bandhavgar.. Destinations Covered : Bandhavgarh, Khajuraho, Kanha, Panna, Pe.. Destinations Covered : Bharatpur, Jaipur, Ranthambore, Agra, Jh..